PSG have completed the signing of Brazilian striker, Neymar from Barcelona in a world record deal worth 222m euros (£200m). The deal beats the previous record set by Paul Pogba when he signed for Manchester United for £89m in August 2016. The Brazil international had a €222 million buyout clause on him and Barcelona insisted that for them to part way with the tricky dribbler, PSG must have to pay that exact amount. confirmed as a PSG player after the Ligue 1 side completed the transfer on Thursday night. Neymar who formed a formidable partnership with Messi and Suarez tagged “MSN” in Barcelona scored 105 goals for the Blaugrana side having joined from Santos in 2013 and also won the treble with Barcelona in the 2014/2015 season. 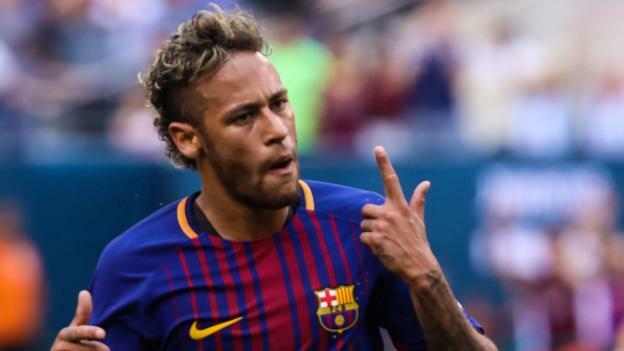 The deal will see Neymar earn 45m euros (£40.7m) a year - 865,000 euros (£782,000) a week - before tax from the initial five-year deal, a total outlay of £400m.